Christmas Tree of the Day #8 (2011 Edition) – Let It Snow! It has started snowing in Singapore! 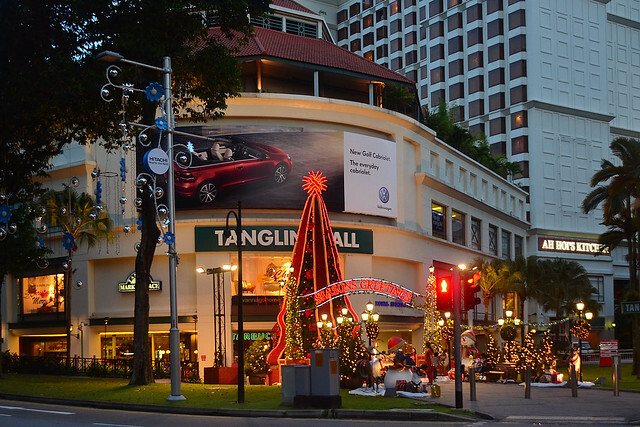 The snow, of course, is machine-generated foam that falls at Tanglin Mall nightly. 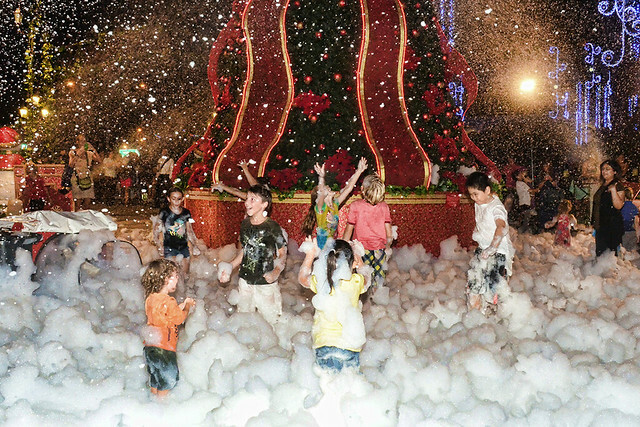 The artificial snowfall is undoubtedly the highlight of the shopping mall at Christmas, drawing families and kids to frolic in the foamy fun. At the centrepiece is the towering Christmas tree decorated with flowing red drapes that cascade down from the top. Red baubles and poinsettia leaves are interspersed on the tree canopy, forming a simple, yet unique Christmas tree design. 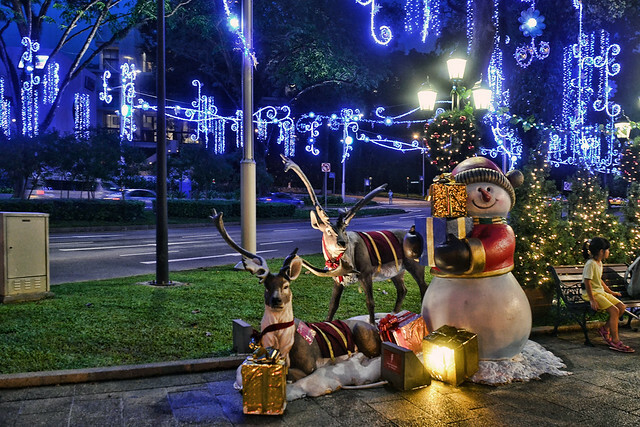 Reindeer and snowman statues on either side of the walkway welcome visitors to the mall. All photos here are taken by Mr. Choo Yut Shing and used with permission on Sparklette. Have you seen any gorgeous Christmas trees this festive season? Share pictures with us in the comments!